It is easy to make fun of the Southern states, and their commitment to bad government. From their defense of religious symbols in public places in violation of the US Constitution to voting against their own interests on a regular basis. I mean most states below the Mason Dixon are last in education, access to health care, life span rates, and income levels, but they continue to elect state officials who never address the quality of life issues faced by their constituents. Instead they focus on railing against Obamacare or federal regulations or raising fears about a threat to the second amendment to get re-elected. Columbia South Carolina passed a shocking ordinance to limit the number of homeless people within their borders by a unanimous vote of the City Council. It is easy to laugh this off as another crazy law from backward legislators, but this law is especially disturbing. 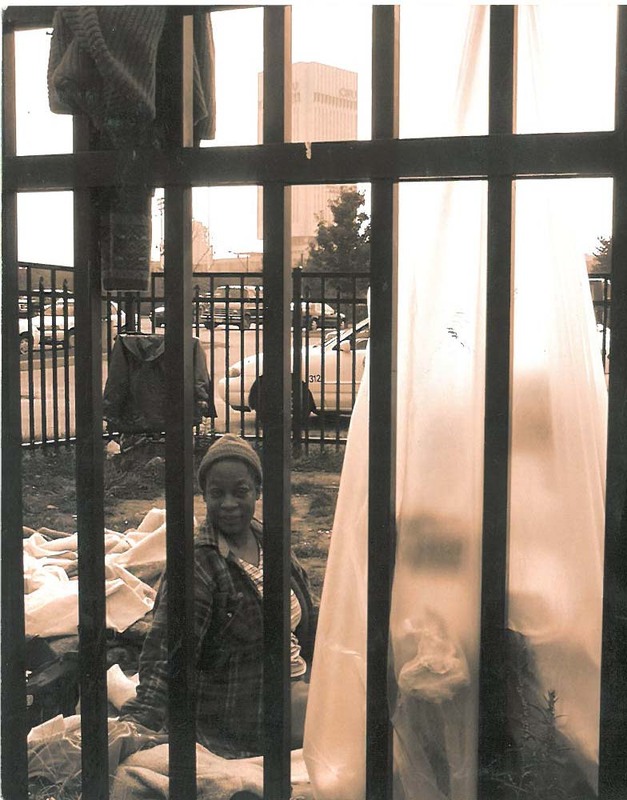 Urban homelessness disproportionately impacts African Americans in the United States. In Cuyahoga County 80% of the homeless population are black while according to the US Census the overall county statistics show that only 30% of the total population are African American. The Columbia South Carolina Mayor is black and four out of the seven City Council members are black yet they all voted to make it illegal to be homeless in the city. The Council said that they were concerned that they were becoming a "magnet for homeless people" as the reason for this nonsensical response. The Huffington Post article details the high cost of incarcerating individuals for violating this new law when compared to offering housing to the population. The cost of incarcerating an individual for six months in Columbia is $9,000. The cost of paying 100% of a person's rent for six months in a one bedroom apartment at the fair market rent would be $3,870. The ordinance would give people on the streets the option to relocate or get arrested for living outside. There would be police stationed at the shelter to monitor the streets, and a hotline will be established to "report" homeless people violating the law to be "removed." This would mean that people would have to stay in a shelter, go to jail or leave the city limits. What happened to the "get government off our backs crowd?" What happened to the Columbia law director not seeing the many constitutional violations here? What happened to the majority African American Columbia City Council not seeing how this will have a disproportionate effect on blacks? What happened to the freedom of movement? Is there any evidence anywhere that law enforcement is good at scaring people into not being homeless? Business owners are complaining that they have thrown money at the problem for 20 years and it has only gotten worse, so they are giving up and making it illegal to lose your housing. Cooperative homeless people will be given the option to go to a remote 240-person bed emergency shelter, which will be open from September to March. The shelter will also be used as a drop-off for people recently released from prison and jail, too. The City Council members actually believe that making a segment of their poor population into criminals will "open up a window of opportunity." It seems that the only opportunity created would be the opportunity to leave the state. The Gospel Mission staff quoted in the article stated the obvious in the most understated manner claiming that this might give off the impression that Columbia does not want homeless people. According to ThinkProgress, clients at the shelter will not be allowed to leave the premises without permission and a police officer will stand guard at the road leading to the building. They have decided on expanding public housing in the form of jails instead of building affordable housing. They have decided on deportation orders rather than operating safe places for everyone to put their head at night. They have opted for punishments for people making mistakes rather than forgiveness and offering safety to those struggling. It is slapping on handcuffs over a hand up. It is distrust of your fellow man conquering the religious conviction to help your brother. Post absolutely reflect the opinion of only those who sign the entry.